Pearls from Japan KOBE PRECIOUS PEARL & CO., LTD.
Our office will be closed April 27th to May 6th for national holiday. 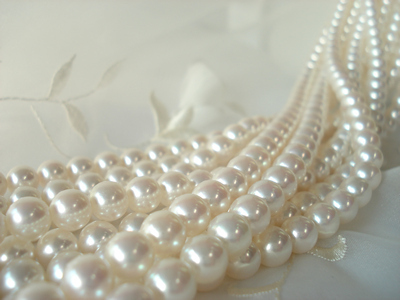 We are manufacturers and exporters of cultured pearls and have been in this business since 1949. We are located near Kobe city hall and can speak English. Though Akoya oyster itself inhabits the inside of the world, color, luster with the depths produced by the four seasons which Japan is characteristic of are characteristics as for the Japanese Akoya pearl where it is raised in the quiet Japanese inland sea. Japanese Akoya pearl which grew in the suitable water temperature of summer from spring brings about "Make-up layered" that luster improves rapidly in the low water temperature of winter. Then, the beauty which it can't have to the pearl of the foreign countries which can take it in the sea of the high water temperature the whole year round is secret. As for Japanese Akoya pearl, the four Japanese seasons and the really rich sea are the art of nature to raise.